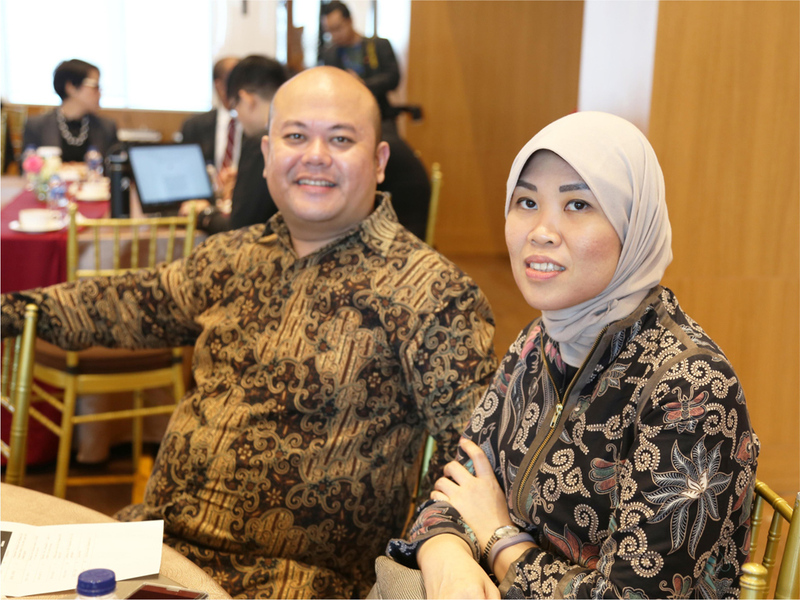 The fifth batch of the AHA Centre Executive (ACE) Programme formally commenced on the 14th of August 2018 in Jakarta, Indonesia, with 17 disaster management professionals from the National Disaster Management Organisations (NDMOs) of ASEAN Member States to participate in the four-month course. 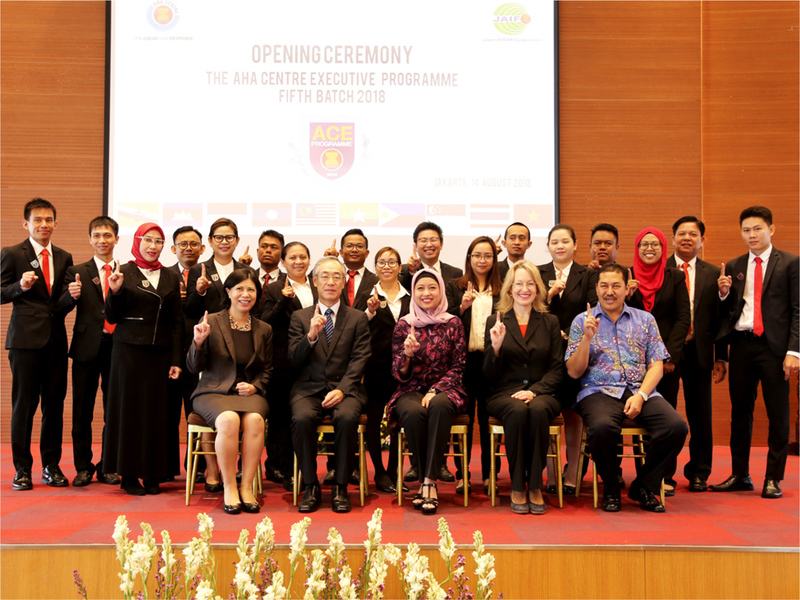 Upon finishing the course, this new batch of ASEAN disaster management professionals will join the other 62 graduates of the programme, who have been prepared by the AHA Centre and its partners since the course first began in 2014. By joining ACE Programme, participants are provided with the chance to acquire meaningful experience and knowledge on dealing with disaster situations, with such learnings supported by the programme’s wide array of diverse courses and trainings. In addition, the participants will also have the chance to undertake comparative studies by visiting disaster-affected areas in Indonesia, Japan, Malaysia, and New Zealand. “We are all aware of how vulnerable our region is to natural disasters, ranging from cyclone, typhoon, earthquake, landslide, and drought. Knowing this, the ACE Programme is very useful for preparing our future leaders in the field of disaster management, and in promoting a culture of resilience and care for the environment”, said H.E. Dato Lim Jock Hoi, the ASEAN Secretary-General. The opening ceremony was graced by the presence of H.E. Dato Lim Jock Hoi, the Secretary-General of ASEAN; H.E. 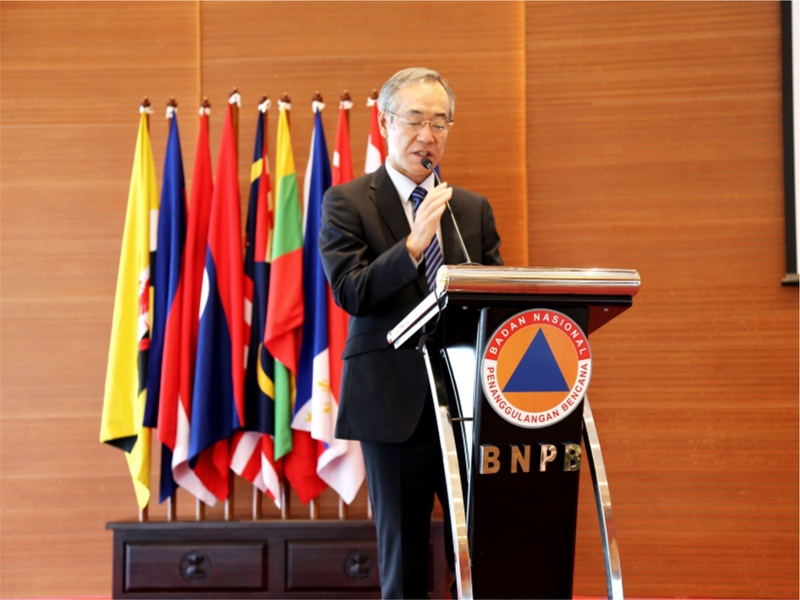 Kazuo Sunaga, the Ambassador of Japan to ASEAN; H.E. Pam Dunn, the Ambassador of New Zealand to ASEAN; H.E. 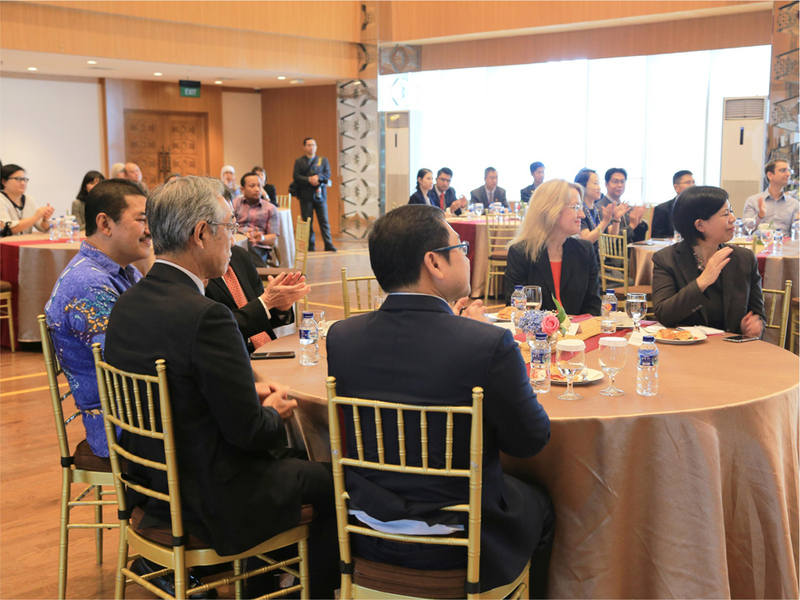 Jane Duke, the Ambassador of Australia to ASEAN; Mr. Dicky Fabrian of National Disaster Management Authority of Indonesia (BNPB); other partners of the AHA Centre and representatives of ASEAN Dialogue Partners. The ACE Programme is an intensive course that is specifically designed to address the needs for a comprehensive and collaborative disaster management strategy in Southeast Asia. 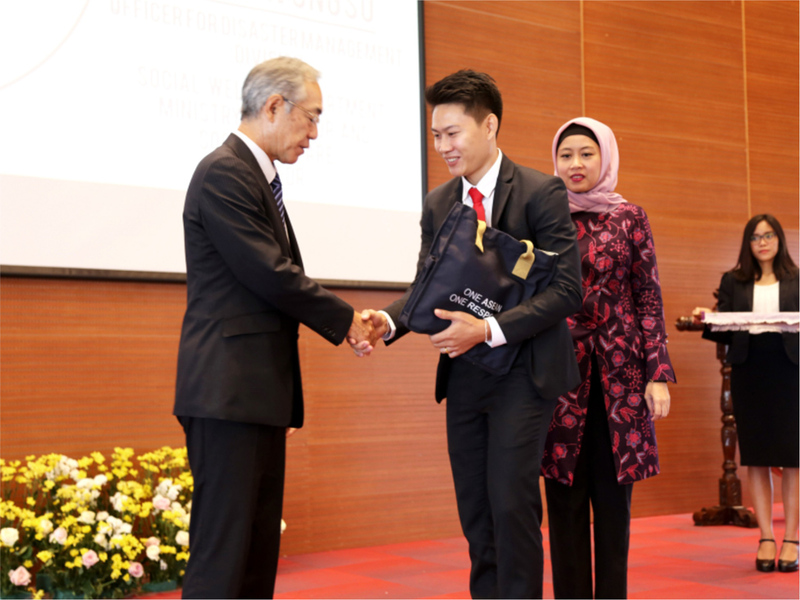 The live-in concept of the course enables participants to build strong operational ties and emotional bonds, which can be useful for coordination amongst NDMOs of ASEAN Member States at a later time. The programme will also strengthen the operationalisation of One ASEAN One Response commitment through building capacities of the participants in the area of disaster management and humanitarian assistance operations. said Adelina Kamal, the Executive Director of the AHA Centre.“Many of the ACE Programme graduates have now represented their countries in ASEAN meetings; some even have confidently given their views and their directions to the AHA Centre in those meetings” she continued.